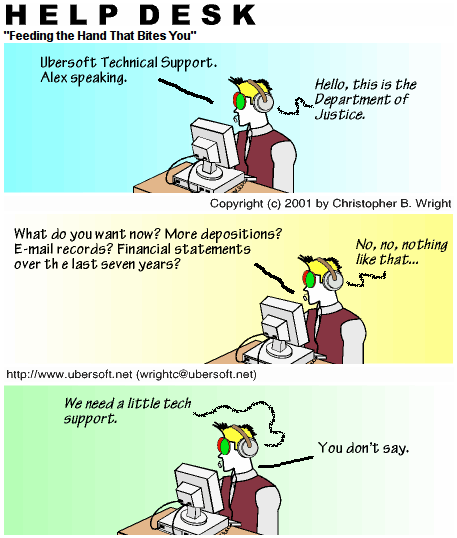 ALEX: Ubersoft Technical Support. Alex speaking. FEDS: Hello, this is the Department of Justice. ALEX: What do you want now? More depositions? E-mail records? Financial statements over the last seven years? FEDS: We need a little tech support.